I can confirm that disabling "Volume Wake" on my HTC One solved the booting issue with v.24. Thanks! Edit: Also confirming that v.25 (found below) resolves the "Volume Wake" issue. New in version 25: Improvements: Hotfix for issues with volume wake / excessive superuser requests. Attached is the LogCat for the Kindle crash. I believe I trimmed it from App Start to Kill. Let me know if anything's missing. Thanks for the updates. The custom operator thing on the Nexus 4 leaves the operator name on the end of the custom string. Is that by design? 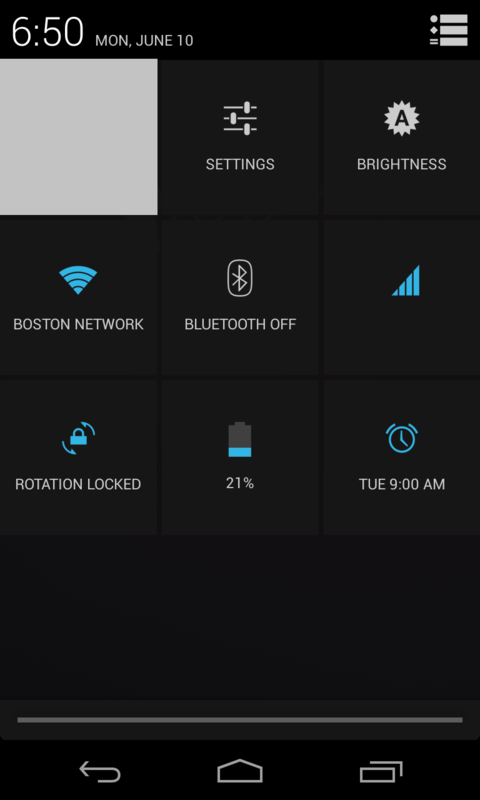 Could you please add these tweaks for HTC One? Show battery percentage works but hide battery meter doesn't work on my HTC EVO 3D. That's weird. I'm going to send you a test version which should fix that. Coming in a future release! 1. Planned for a future release. 3. Would this not be a bit confusing? I think left hand side pull for notifications and right hand side pull for toggles would work better? 4. Not planned, i'll put it on the maybe list. I don't have an Evo3D to test on sadly, but i'll have a look to see if it's anything obvious! if I disable ALL/ANY mods in exposed framework it works perfect. if I enable ANY mod it fails. My question is - is this a quirk of the xposed framework? I am not uninstalling the framework just having nothing active. the only common thing that seems to be present is if they are enabled it dies. Very weird lanlith... worth a post in the main xposed framework thread I think tbh! Have done. Thought I would mention here too just in case you had any ideas. Noticed someone else found the same problem too and work around! Could you add using a hardware key to answer call if it is a possible xposed framework mod. Thanks. Well, I don't know if this is possible, or something you can do or what, but figured i'd pitch it here. I'd love to see something like CM's message app, or rather just the function, of being able to do a quick reply whilst in the notification pull down. I came across from iOS recently, and had intelliscreenX which supported the feature, it's one i miss. Google Play has a block on streaming when the HTC One is connected to the HTC Media link. Is there any way to add a mod to trick Google Play Music and Video to not recognize when the HTC One is connected to the HTC Media link so media can actually be played on the tv? You can do that in stock Wi h the home button options? It's on the to-do list! Probably a mod too far. Just install the CM messaging app? Oh, weird! I'll look into that! Thanks for adding the custom carrier label! It's amazing that I can finally change my carrier label without using a ROM that's loaded with useless features. I just wanted to post some feedback though. Ever since the latest version of the toolkit, things have changed a little. 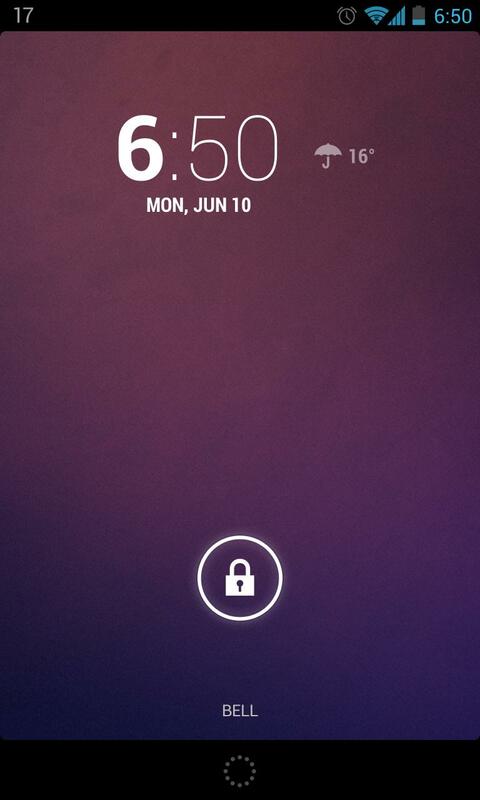 Before it showed the carrier name on the lockscreen, notification shade and quick settings panel. Ever since the last update, it just shows on the lockscreen. I disabled the option, rebooted, re-enabled it, rebooted and it was still having the same issue. 1. 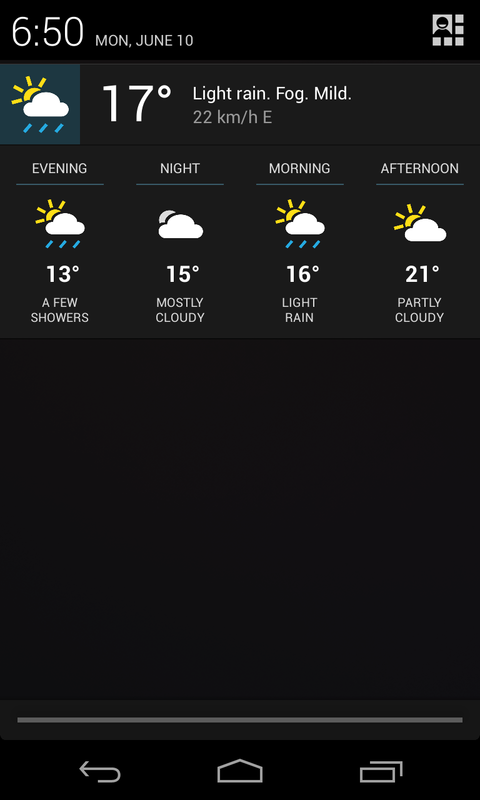 Pull down from the right of notification shade to access quick toggles quickly. I've installed the toolkit for the first time and I am stuck with a bootloop and the phone won't go into recovery either. This is not my video but this is exactly what is happening on my phone also. If someone knows a solution to fix this, it'd be much appreciated. I will be honest, I did not get a chance to read the posts before this to see if this is an issue, if I am asking this as a repeat question, my apologies in advance. Thanks for looking into it, Paul. That's easily the best feature in your toolkit in my honest opinion. I look forward to seeing future updates of this toolkit. Where can I go for the pro version, by the way? If you have specific tweak requests or general questions, please post below. Would it be possible to hide all icon/folder labels in Sense with an Xposed Mod? or even choose the colour? Hi, today I have installed ARHD 10.3 for the HTC One and the Toolkit has stopped working, i.e. the applied mods make no effect. They were working flawlessly with the same ROM, release 10, 10.1 and 10.2. Any hint?